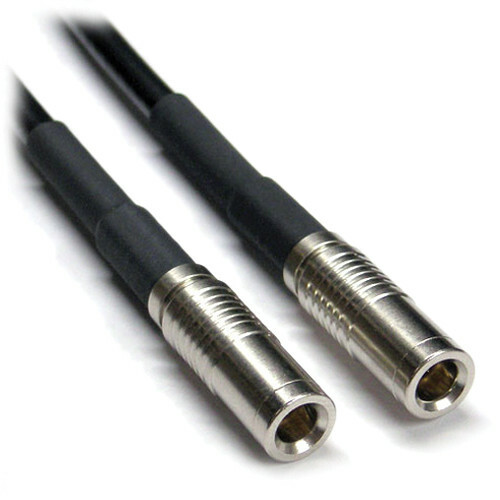 The Canare L-2.5CHD 3G HD/SDI Cable with 1.0/2.3 DIN to 1.0/2.3 DIN Connectors (1') offers the professional broadcaster a high-performance, 100% sweep tested, cost-effective, and low-loss coax that meets the demands of today's facility migration trends toward Serial Digital Video and HDTV standards. It is designed for equipment or video distribution gear having HD/SDI 1.0/2.3 DIN ports. Box Dimensions (LxWxH) 6.0 x 5.0 x 0.1"
L-2.5CHD 3G HD/SDI Cable with 1.0/2.3 DIN to 1.0/2.3 DIN Connectors (1') is rated 5.0 out of 5 by 1. Rated 5 out of 5 by C. Hidalgo from Good Quality Cable I use this cable with a Black Magic Video Assist and A mini 4K Studio Camera, I use so I can record 4K signal from the camera since HDMI only transfers HD Signal. Cable feels very well made, connects easily, I highly recommend this cable.